14ft Protective cover for 4.30 m trampoline. 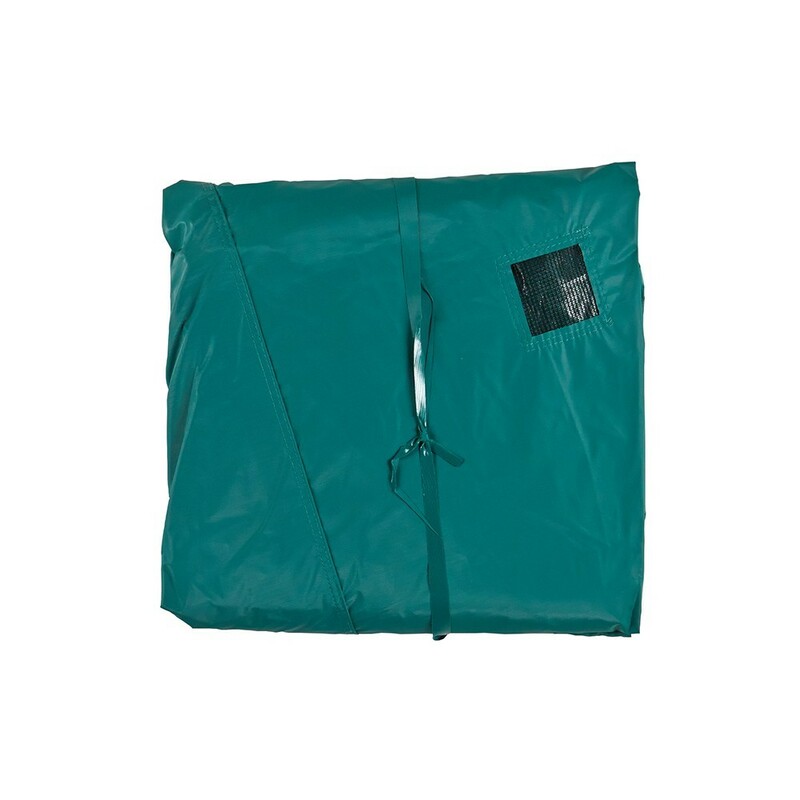 Cleanliness cover to protect your 4.30 m trampoline during the winter period. 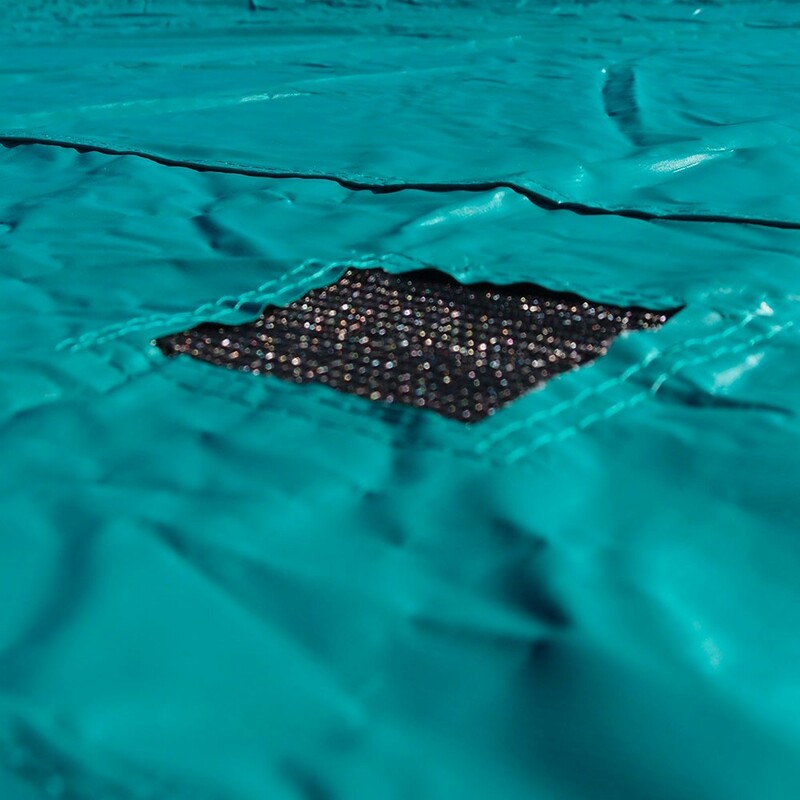 Designed for round 4.30 m in diameter trampolines, this cleanliness cover will protect your trampoline in all sorts of weather. Thanks to this cover, your jumping pad and frame pad will be clean and protected from wear and tear in all circumstances. 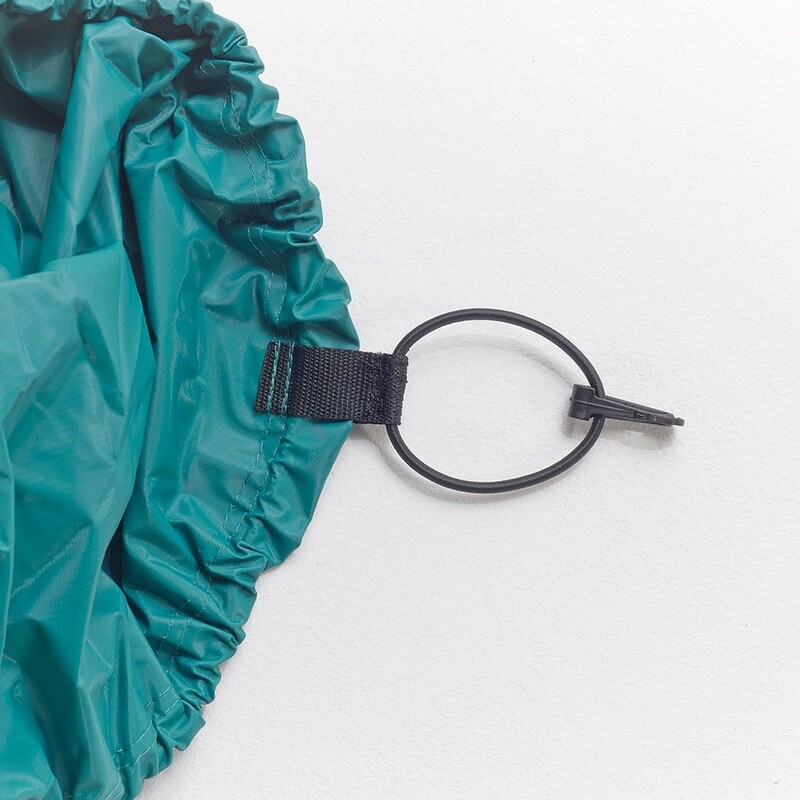 - The protective cover is adapted to round 4.30 m in diameter trampolines. - This cover is made from a technical material and covered in PVC. The PVC is 650g/m² in density, which is identical to what is used to produce lorry tarpaulins. This density guarantees resistance and efficiency against any outside damage. 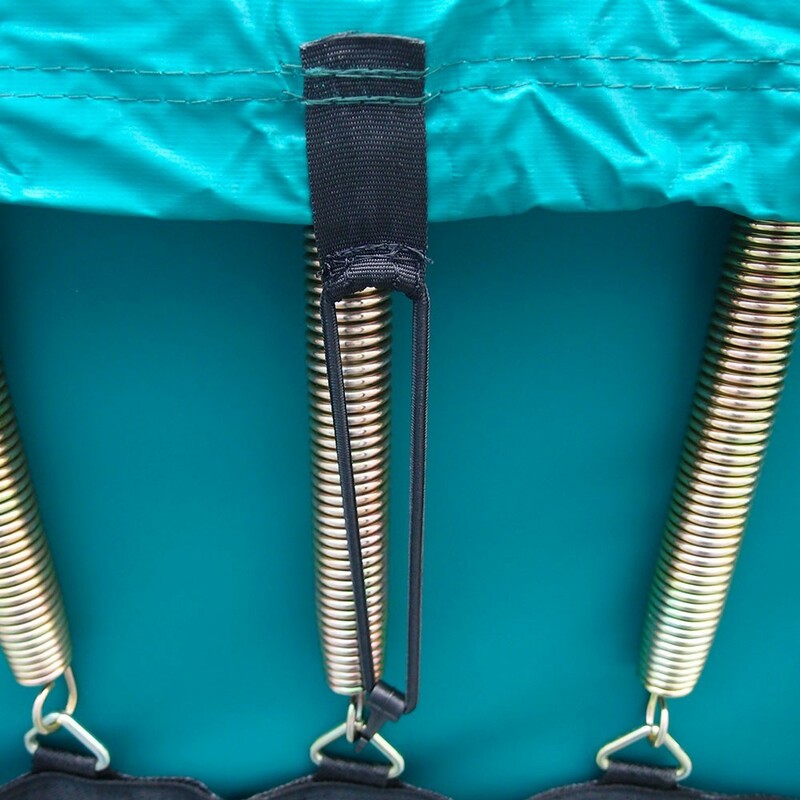 - It uses an ingenious drainage system which protects your springs from getting stretched under the weight of water accumulating on a normal cover. It has 3 openings, which are perfectly spaced, preventing the springs from getting distended. - To make installing the cover simple, there are hooks and straps to hold it in place and install it quickly and easily. - In order for it to blend perfectly into the exterior decor of your garden, the cover is green. 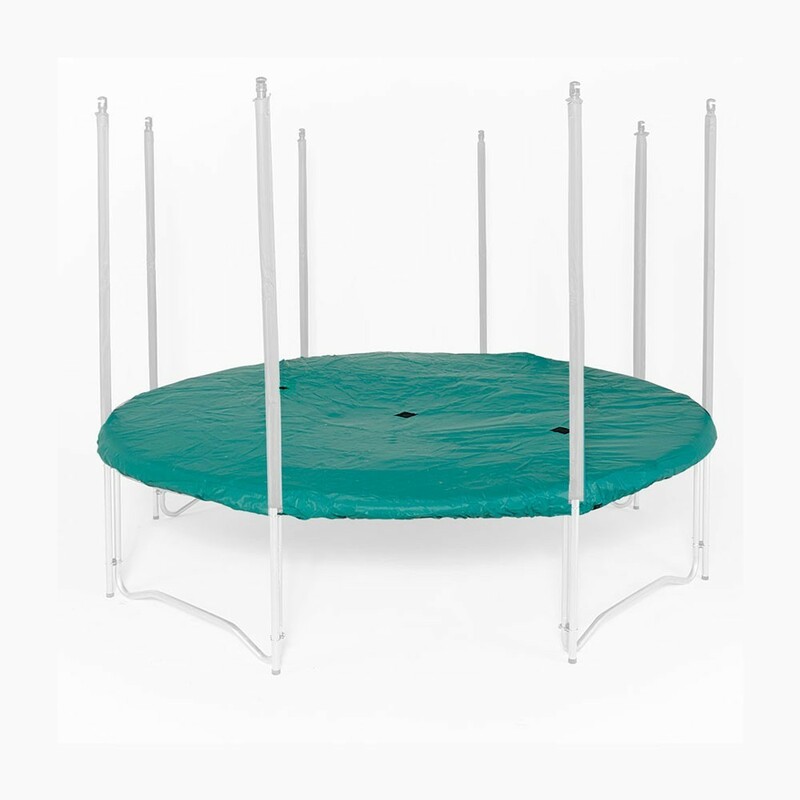 We recommend installing the cover during the winter months to protect your trampoline from the weather. You can also use it during the summer to protect it from UV light. 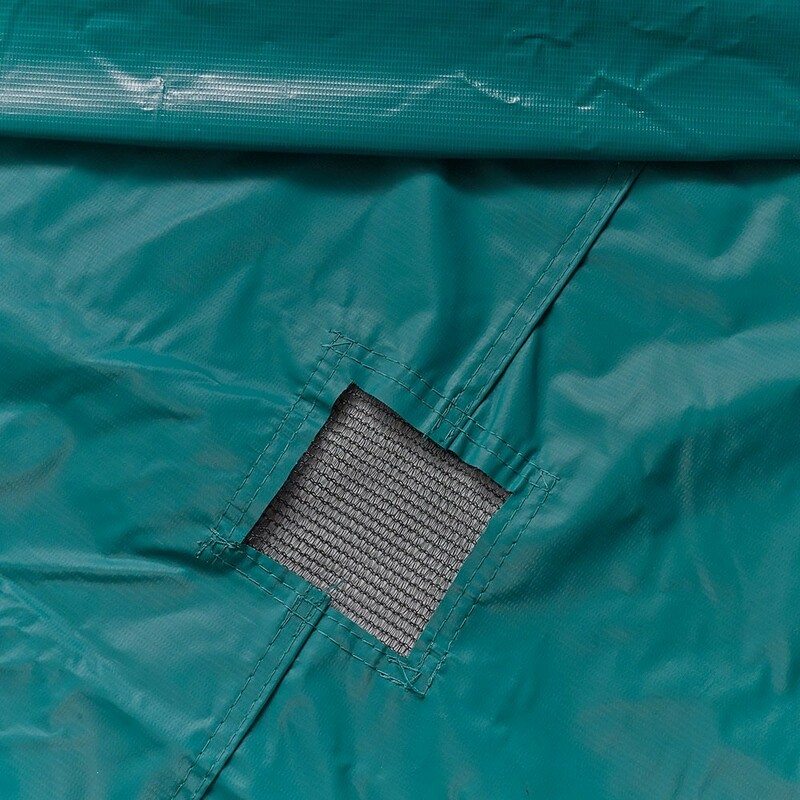 If you use this cleanliness cover correctly, your trampoline will remain clean and ready to use all year round. Bon produit à changer tous les 4/5 ans les coutures du contour se déchirent. Nos enfants sont pleinement satisfaits et heureux depuis deux étés sur votre trampoline. Comme je vous l'ai écrit plus haut je ne suis pas sûr d'avoir su amarrer dans de bonnes conditions la toile de protection que je viens tout récemment d'acquérir pour l'hiver? Difficultés d'amarrage. Facile à installer, robuste, compatible avec d’autres marques de trampoline.